March | 2013 | CCIE, the beginning! Administrative Distance, prefix length, metric… Who is the winner? The idea of the lab is to test the RIB best route election criteria of a border router. To do so, four overlapping subnets are configured in different parts of the network and available to a border router through different routing protocols. One of them is directly connected. All prefixes are made available and reachable in the same time to see who is going to be elected as best route, then remove the winner from the competition by making the corresponding path unavailable and iterate the selection process until the last path. 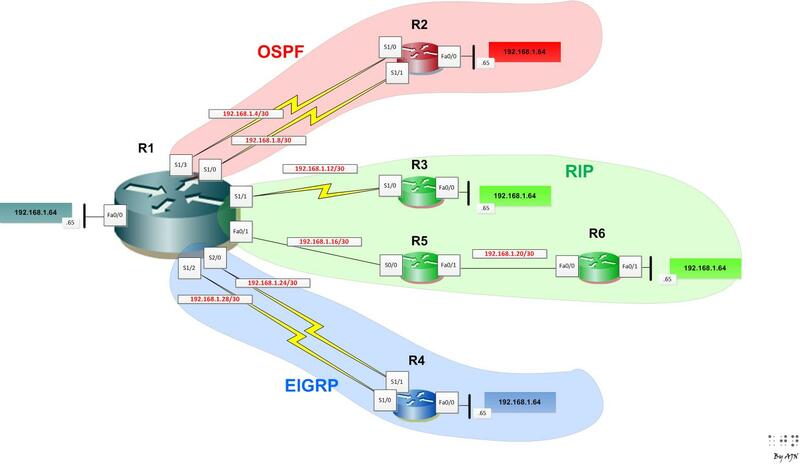 One directly connected segment and three routing protocols, so four administrative distances: directly connected (AD=0), RIP(AD=120),OSPF(AD=110) and EIGRP internal(AD=90). Each protocol has two unequal paths (different metrics) to reach the same prefix. 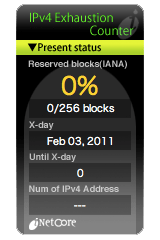 Prefix masks are configured to be inversely proportional to routing protocol administrative distances. For each test case, the routing table is checked for the best route, a trace route to check the path and make the winner path unavailable. RIB looks at the mask length first. The directly connected prefix with the shortest mask length is considered last as the longer the mask, the more accurate the prefix.